This extraordinary destination has drawn families and visitors to the sunny side of the Cascade Mountains for decades. 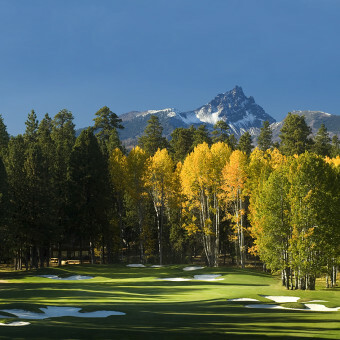 Black Butte Ranch is an unmatched vacation experience with stunning mountain views, abundant amenities (including two of the finest championship golf courses in Central Oregon) and a pristine setting. In the 1960s, managers of Brooks-Scanlon, Inc. a forest products and timber management company, realized that some of the company’s more than 200,000 acres of land had a higher and better use than growing and harvesting trees on a 200+ year cycle. They formed a subsidiary company, Brooks Resources Corporation. Brooks Resources was charged with acquiring and developing property. 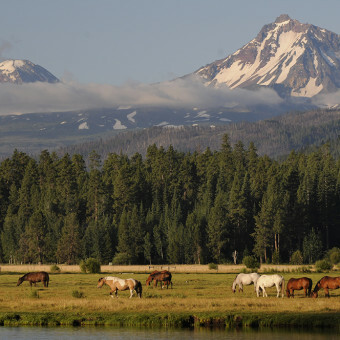 Its first major project was Black Butte Ranch, located just west of Sisters. 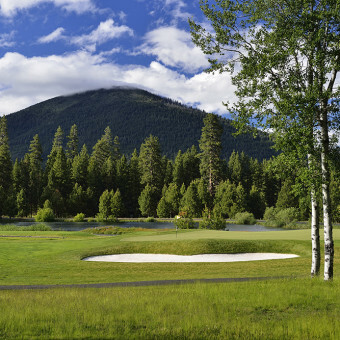 The vision of Black Butte Ranch was to create a community of residential and summer homes with limited commercial activity. 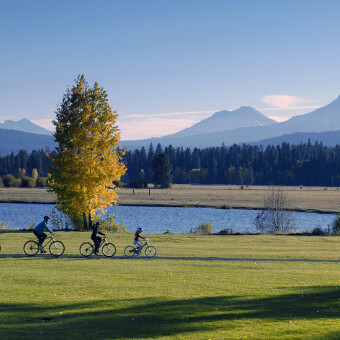 Using its serene natural setting, Brooks Resources envisioned a special residential resort that would serve as a convenient getaway for families west of the Cascades, a place where people from larger cities could get out of the hustle and bustle and enjoy nature—and each other. But while its location was its biggest appeal, the location also had its challenges. The nearest town, Sisters, was in decline after local lumber mills had closed. 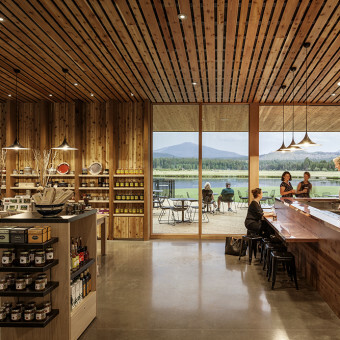 But Black Butte guests and residents would need a place to dine, shop and do business. Seeing the town of Sisters as a potential amenity, Brooks Resources managers knew they had to invest in the town to make it unique, attractive and economically stable. Brooks came up with a plan to offer merchants in Sisters $5,000 and free architectural help to create a theme look to the town. The Sisters planning commission adopted an 1880s western theme, and several business owners took Brooks up on their generous offer. Meanwhile, Brooks Resources continued an ambitious plan to develop the residential resort community that offered guests miles of bike paths, golf, tennis, swimming, dining and a safe, fun atmosphere for families. Brooks transferred ownership of the private roadways, bike paths, common areas and recreational facilities to the Homeowner Association in 1982. The remaining assets, including golf courses, the Lodge, sports shops and Ranch maintenance and utilities were sold to the Homeowner Association in 1987. 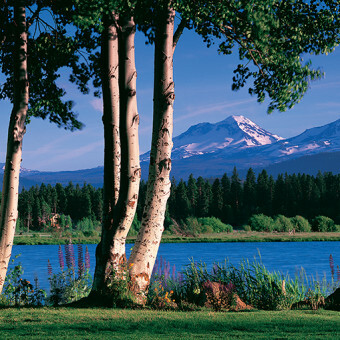 Today, decades later, Black Butte Ranch continues to be a revered resort destination. The Ranch is owned and managed by a Homeowners Association, a unique arrangement for such a large residential resort. There are over 1,250 homes and newly remodeled facilities keep guests and owners coming back. The two golf courses are considered to be among the top in the Northwest. Nearby, Sisters is a thriving community and its unique and quaint charm, and focus on art, music and culture, brings tourists and Ranch guests from all over the world.